Hi there!!! I've been busy in my craft area this week but don't have much to show you... Sad, I know!!! I've been creating a lot of scrapbook pages lately (What's wrong with me? I must be sick!! LOL!!!) and have been enjoying creating them. That's not why you're here though, so I'll get on with it. 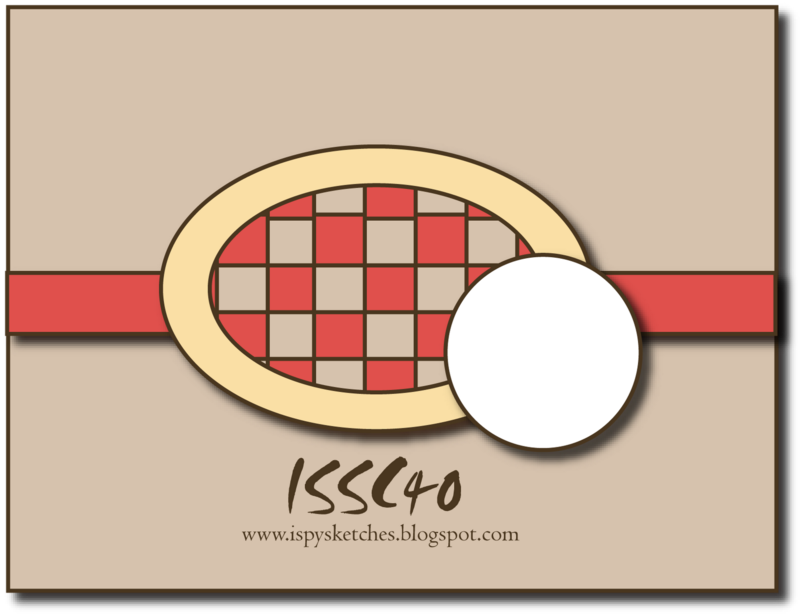 This week's iSpy sketch features Julie H. (Juble at SCS) and is inspired by this card. Okay.... Call me a dunce!!! I tried doing my card based on memory (normally I copy out the sketch on paper) and apparently I forgot part of it. OOPS!!! Let's just say I took some creative license, K? That works for me!! For my card, I used the TSG set called "Wishing You" that I stamped in Chocolate Chip Ink which I ended up embossing with clear embossing powder. I then used Versamagic Wheat Ink that I sponged around the Nestabilities.